Harrison Ford’s casting in “Expendables 3” even left him a little speechless. When CNN caught up with the busy 71-year-old actor at Thursday’s premiere of his latest movie, “Paranoia,” he initially couldn’t quite express what drew him to his new gig. His “Expendables” co-star Sylvester Stallone might not love that reason, as he hinted on Twitter earlier this week that money was the reason Bruce Willis is no longer in the third installment. 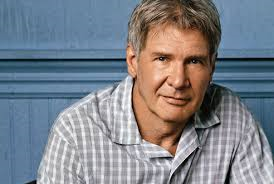 The next thing we know, Willis is out of the movie, and Harrison Ford is in. The casting shake-up has brought plenty of drama well ahead of “Expendables 3” August 2014 release, but for Ford, joining the team of mercenaries is an easy decision.